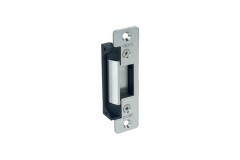 This is our range of ALPRO electronic door release mechanisms (referred to electric strike releases). ALPRO have been a respected name in the access control industry for many years. As a family company founded in 1938, the quality of product provided by the company is always to a well maintained high standard. 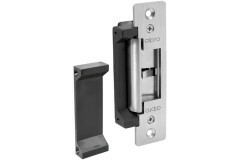 As a brand ALPRO are generally considered to offer high-end strikes (amongst other access control hardware) at more attractive prices than a lot of the direct competition. So if you're looking for a long-lasting, high quality strike release that you can really rely on to stand up to heavy use, then this range would be a great consideration. 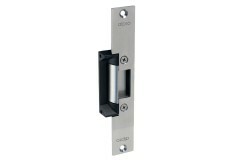 With a huge 1,750 kg holding force, the Alpro AL110 is a popular choice for wooden doors but is also.. 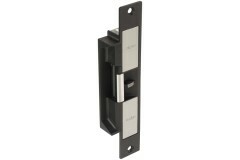 The Alpro EL900 series offers both long and short stainless steel faceplates as standard, making the..
With its staggering 1,750 kg holding force, the Alpro AL110 is a popular choice for aluminium doors .. 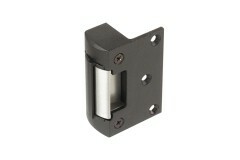 The AL2000 is Alpro's monitored mortice strike release. Along with the continued high quality ..